The charm of a Viking River Cruise is that it is a small luxury ship that can take you to some amazing places around the world and you only need to unpack your bags once! There are many things that you can see, do and enjoy at each stop on whatever cruise you might take but what about onboard the ship? What are the rooms like? What activities are offered? What amenities are provided? 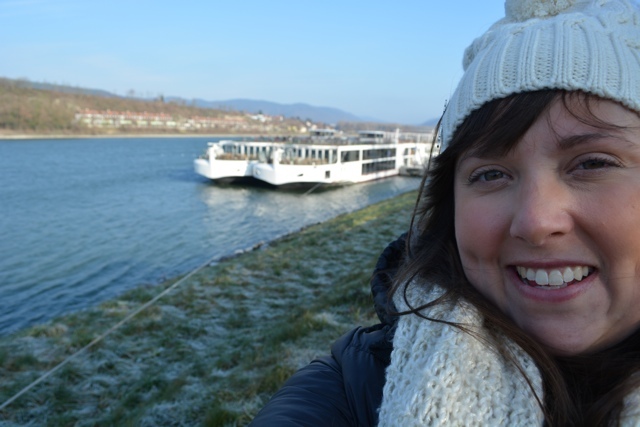 I attempt to answer all of that and more with my own room review onboard a Viking River Cruise. More specifically I was onboard the Romantic Danube Viking River Cruise from Nuremberg, Germany to Budapest, Hungary during the Christmas/Holiday season. 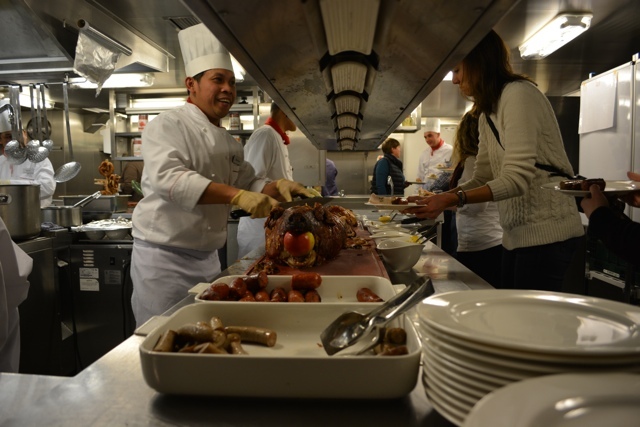 If you want to learn more about the activities off of the ship on this tour click HERE, or to see what the Christmas Markets are like on this tour click HERE. The Viking River Cruise ship that I was on was called the Viking Delling and at the time of our sailing it had been in operation for less than a year. Everything onboard the ship was clean, nice, new and modern and the staff were probably the friendliest bunch of people that I have ever met. Another nice thing about the ship being so small is that you basically get to meet and interact with all of the crew and they get to know you and know the things you like which only makes the level of service that the are able to provide that much better. My room was a great size with just enough space, I would say it was probably even bigger than a few hotel rooms that I have stayed in before. There was a queen sized bed that could be split in to two singe beds if you are just traveling with a friend. The bathroom had every amenity that you needed including heated floors and deliciously smelling bath products. There was also lots of closet space, and a small safe for your valuables. On the far wall across from the bed was a flat screen TV which not only had regular TV available but also featured various Viking River Cruise video guides and tutorials about the ship and activities available on the cruise. My room on the third floor also had a small balcony with chairs to sit out on and enjoy the river and passing views which was quite nice to enjoy in the mornings. My favourite part of my room however (as nerdy as it sounds) was that not only did they have European plugs on the walls but they also had North American plugs! No need for an adapter, so I could charge all of the things! They really did think of everything when creating a great ship to cruise on. Also located on the third floor is a small seating area/library and a couple of computers that were free to use for all guests on board. The ship also had free wifi (location permitting) throughout the ship which was quite convenient and awesome. Just past the library area is the steps leading down to the second floor (main level) rooms and dining room, a small area for self serve coffee and tea 24/7 and a large lounge area. 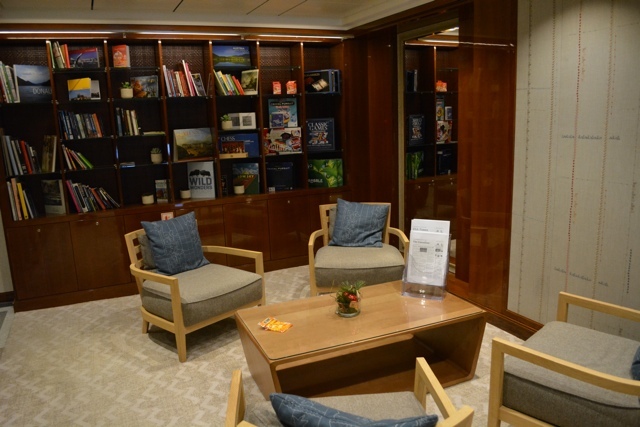 The lounge on the third floor features a full bar, lounge chairs, dining tables, piano with live entertainment and is also where you can learn language lessons and history lessons each night on the ship. At the back of the ship in what is more of a sunroom area is also where the buffet lunch and breakfast would be served each day. This is also where you can access one set of stairs to walk up to the roof of the ship to take in the views, play some mini golf, use the walking track and visit the Captain. The dining onboard the ship was first class. Located on the second floor was a large dining room with space for all of the guests where you could either snag a table to sit alone with your own company or you could sit at a larger table and mingle with other guests on the cruise. The wait staff were friendly and efficient and the food was delightful with a different menu each night, however if you preferred something else they were also always able to accommodate. 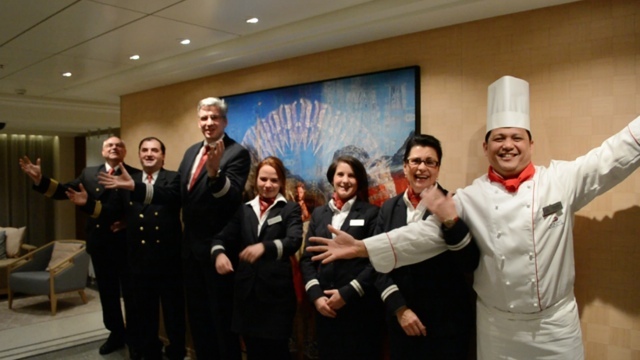 Have you ever sailed with Viking River Cruises? What was your favourite thing about the ship? Please don’t forget to subscribe to my channel for new videos each week! I was hosted on my trip by Viking River Cruises however as always all opinions and views expressed are my own. Wow … it looks like a normal hotel room rather than the boxy staterooms you see on bigger cruise ships … really cool! I am so jealous! I wanted to accompany my parents on a Viking River Cruise a few years ago, but my kids were still a bit young. They loved the ship so much that they head off for an ocean cruise with Viking in February. This looks like an amazing time, and to be able to do it over the holidays makes it all the better! Last summer, I took a day trip on the Rhine River from Koblenz to Mainz and it was an absolute highlight of my time in Germany. 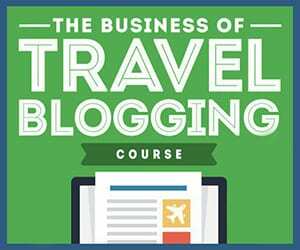 The itinerary for your trip looks absolutely perfect. It’s nice that they offer free wifi (when feasible), you hardly ever see that on ships nowadays. I’d love to go on a river cruise and visit all of the Christmas markets. 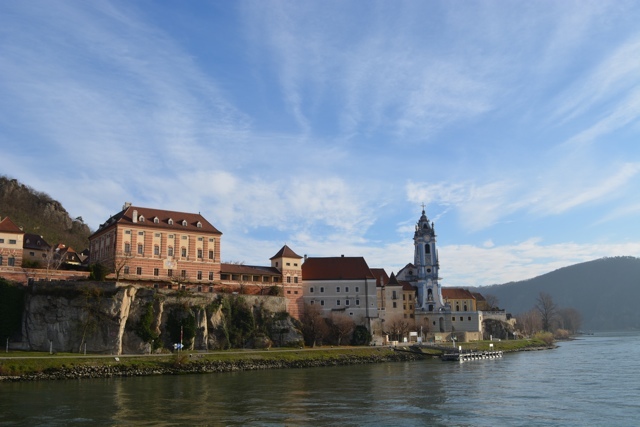 The Danube through Austria is absolutely gorgeous! 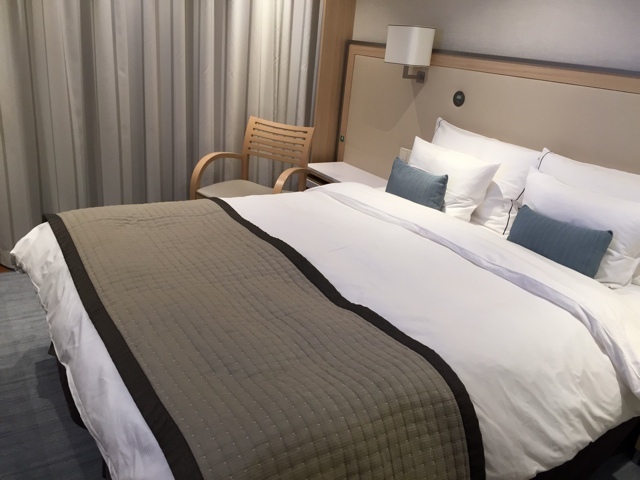 Thankyou so much for this post, I’ve been trying so hard to convince my husband to come on a cruise but he’s never believed me that the rooms are exactly the same if not better than what you get from a normal hotel room. Only difference being, as you said, you only unpack your bags once and you wake up in a new destination each day!! 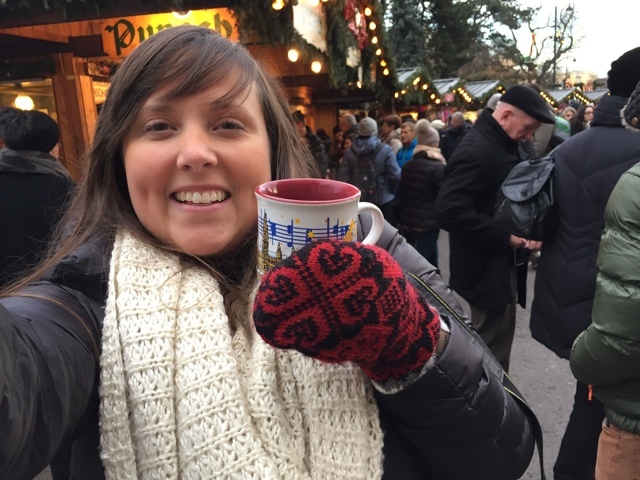 This post makes me want to take a Viking River cruise more than ever. Sounds like much more fun than the yawn I expected. Looks like a great experience, I would love to take a river cruise one of these days and those suites are huge indeed! 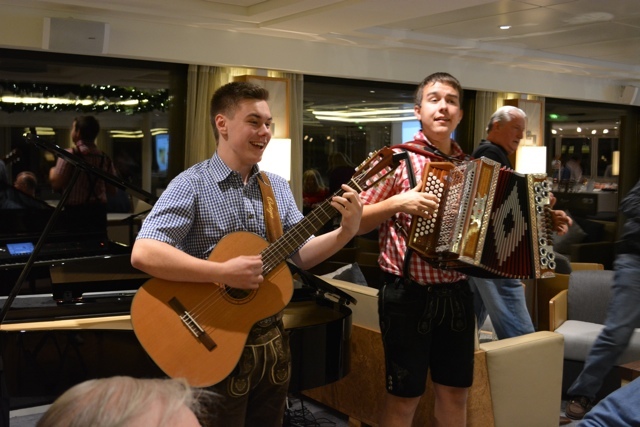 We have yet to sail with Viking River Cruises, but we sure would like to! Your video review of the room is very helpful for people in letting them know what to expect. The Christmas Markets route would be one that I’d love to go on. We’re hopefully going to be living in Germany next year for about 10 months and I’m hoping to take a Viking river cruise but I’m still debating the kid-friendliness of it as our daughter will only be 4. Did you see any young children on the cruise? Wow! The scenery is amazing! And the boat looks so comfortable. We never thought of taking a cruise with viking, but after this post yound your lovely video, we would love to take one!